Vayyar Imaging has today announces that the WalabotDIY is now available for Australian consumers. Created for home renovators and DIY enthusiasts, WalabotDIY gives users ‘Superman-vision’ to see up to ten centimetres into drywall, cement and other materials. This helps determine the location of studs, pipes, wires, and moving rodents. With the Australian launch, WalabotDIY includes a new feature called Pan Mode which allows users to scan an entire wall and combine everything detected into a single image thatshows studs, pipes, wires and its entire path. “We were keen to launch to markets that are passionate about DIY and home renovating. Walabot introduces a new experience to Australians who want to renovate their house and knock down or cut into walls without making needless mistakes,” says Vayyar Imaging chief executive and co-founder Raviv Melamed. WalabotDIY is compatible with all Android smart phones 5.0 and higher and connects to the back of these phones which can then be used to scan the wall. WalabotDIY also helps users know precisely how deep to cut or how far to drill to avoid damaging pipes, wires and other objects that may be behind the wall. Other features include an adjustable sensitivity setting for optimal calibrations on renovation and construction projects, three sensing modes and the ability to seamlessly snap photos for use in offline analysis. 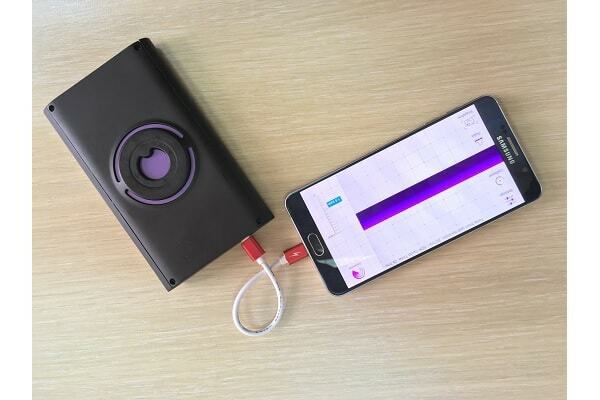 Vayyar’s sensor technology will also enable added features for WalabotDIY in the future and will integrate seamlessly with the existing WalabotDIY tool as they are announced and released.